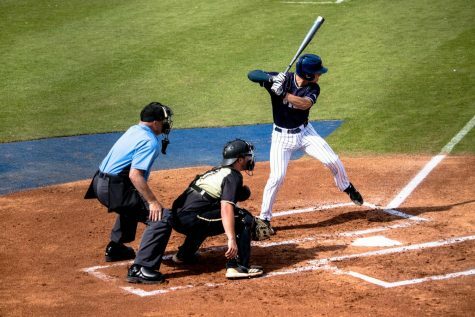 Junior Mason Studstill’s dominant outing for FGCU gave their hitters breathing room in a 5-2 win over the Ospreys. 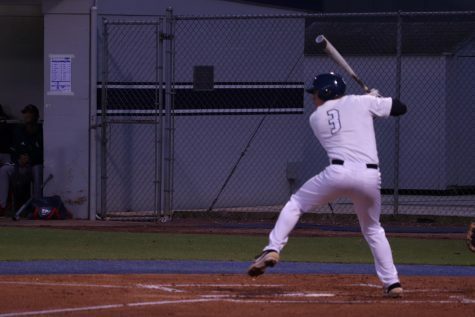 After a quiet two innings, the Eagles fired the opening salvo in the top of the third by scoring two runs on RBI singles by Juniors Kohl Gilmore and Richie Garcia for a 2-0 lead. 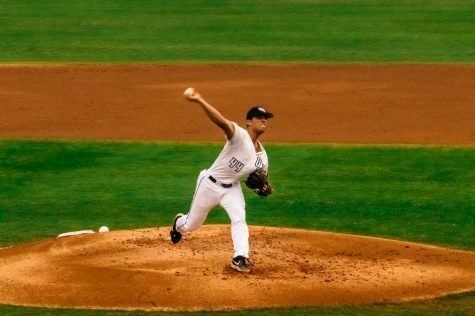 Studstill was dealing on the mound as he threw five and a third innings while allowing one hit, despite giving away five free passes. Garcia recorded his second RBI of the game in the top of the seventh as he hit a sacrifice fly to center to score one to expand the lead to 3-0. A pair of RBI singles from Senior Eric Gonzalez and Freshman Jalen Townsend padded the Eagles lead to 5-0 in the same frame. 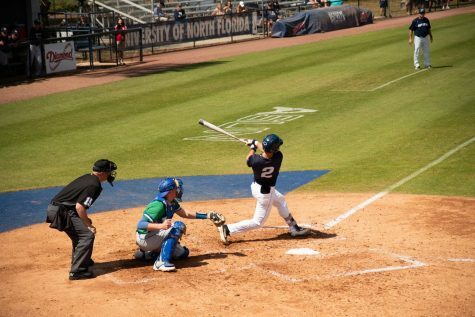 The Ospreys finally got on the board in the bottom of the seventh on an RBI double by Redshirt-Senior Wes Weeks to plate one. 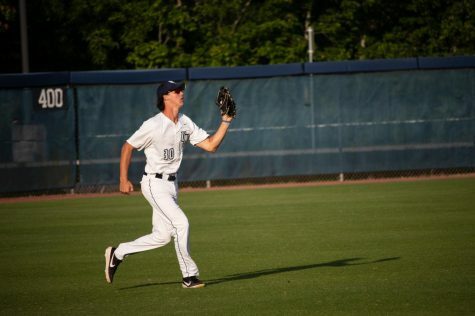 Senior Jay Prather added another on an RBI single to right as the Ospreys cut the lead to 5-2 to close out the seventh. 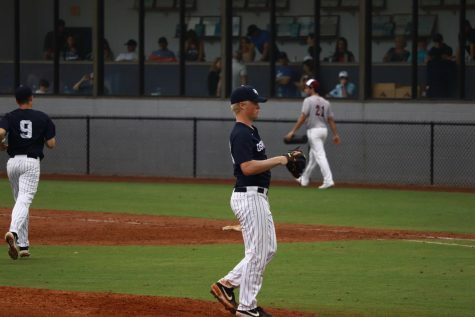 Despite the late rally, Junior Hunter McGarry of the Eagles shut down the Ospreys in the remaining innings as the Eagles won, 5-2. 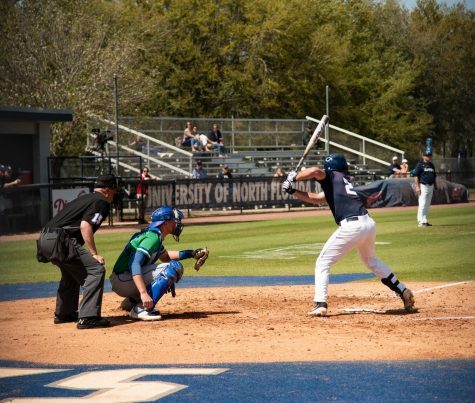 The Eagles left 11 men on base in the 5-2 win over UNF. 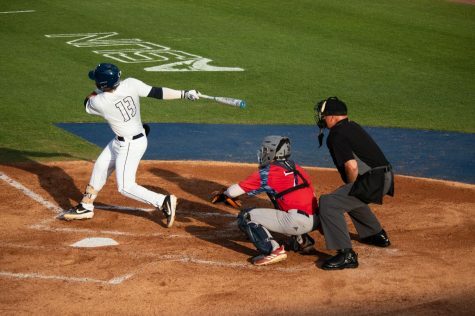 The loss drops UNF to 15-10 (1-1 ASUN) and the win improves FGCU to 14-7 (1-1 ASUN). 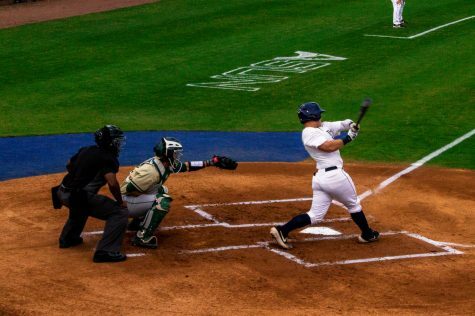 The Ospreys and Eagles meet again on Sunday, March 24 at 1:05 to see who can win the rubber match.